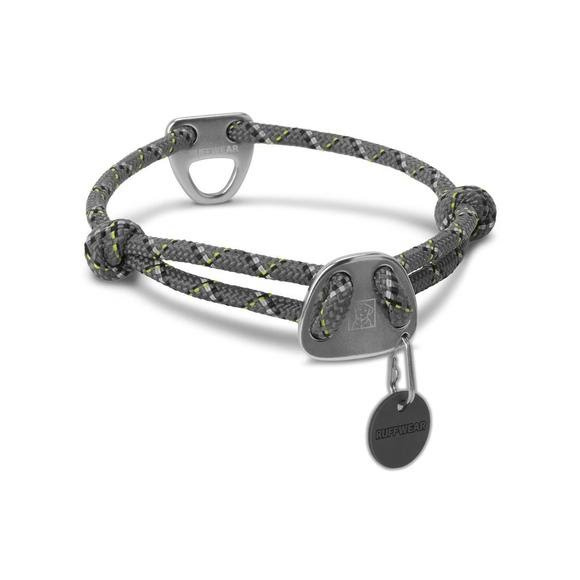 The Ruffwear Knot-a-Collar is a low-profile, climbing-inspired everyday collar. Clean and elegant, the Knot-a-Collar settles comfortably in short or long fur and reduces matting. Reflective rope keeps dogs visible in low-light conditions. Pairs with our matching Knot-a-Leash. Measurements Sizing: 11"-14", 14"-20", or 20"-26"